Manufacturing industries need reliable pail packaging for their liquid products that is easy to use by commercial and residential customers. At PACK’R, we provide automatic pail-filler machines and capping equipment to get your liquid products packaged and ready for transport. Liquid-holding pails come in square and round shapes. They can hold liquid food products, agrochemical products, paints, coatings, noncorrosive chemicals and other liquids. As filling and capping equipment experts, we can custom-design your pail-filling system to accommodate the size and type of pails that will be used to house your liquid products. Our equipment is engineered to fill 500-milliliter to 30-liter pails made of metal, PET plastic and PEHD plastic. Our weight-filling equipment improves accuracy for liquid-production requirements to ensure the right amount is placed into each container during short and long production-line runs. Every industry has different manufacturing equipment configurations and operations. PACK’R has design and engineering specialists who will learn about your particular floor production processes. 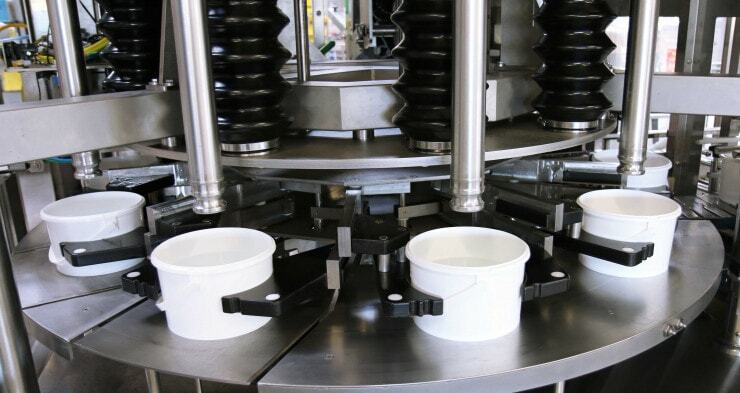 Then, we will create the right pail-filling system that complements your existing machinery. In addition, we provide automatic pail-filler equipment for startup companies and manufacturers looking to quickly add equipment and place it into immediate use. Our company works with multiple manufacturers in the chemical, agrochemical, petrochemical, food, vegetable oils, and paints and coatings industries. We ensure that our pail-filling equipment will suit the size and weight of the pails as well as the characteristics of the liquid products. Whether the product is watery, viscous, foamy, aggressive, flammable or even explosive, our equipment will be able to properly dispense the liquid into the specified containers. Filling pails with liquid products by hand can be slow, messy, unproductive and dangerous. We can help increase the productivity and safety of your operations by providing semi-automatic and automatic pail-filling equipment that more aligns to your production goals. Also, our equipment can easily help with liquid product changeovers when you need to switch containers. We partner with you through the entire design and engineering process. Afterward, we provide continual support to facilitate timely maintenance of your equipment as well as upgrades to boost manufacturing growth. When it comes to pail-filling equipment, more companies turn to PACK’R for filling and capping-machine solutions. Let us design, commission, maintain and upgrade your pail-filling machines. Speak with our specialists today — whether you need help deciding on the right turn-key pail-filling machine for your liquid products or want to discuss customized equipment solutions. 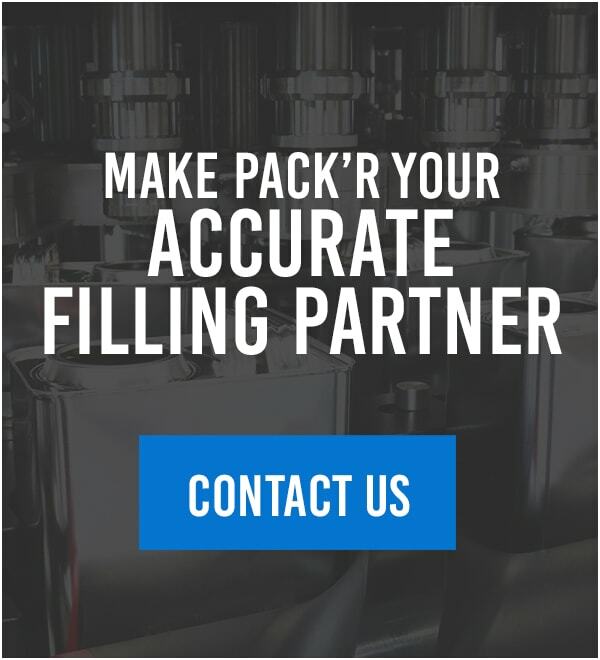 Rely on our 30-plus years of experience and strong service to provide you with the pail-filling equipment so you can stay competitive in your industry.